pursued hi studies in his homeland. 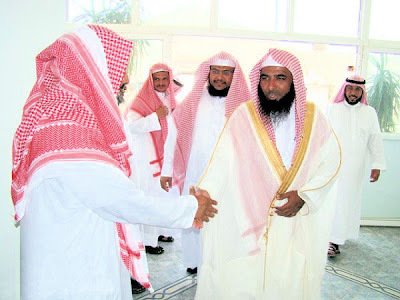 Muhammad bin Saud Al-Islamiyya in the Department of Shariah in Al-Ahsaa. Sheikh Budair then enrolled in the High Institute of Magistracy. a calm voice and he recites straight from his heart. judge in the High Court of Madinah.